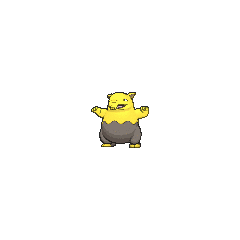 Drowzee in game: 2,532 Who? Important notice! Pokemon Drowzee is a fictional character of humans. 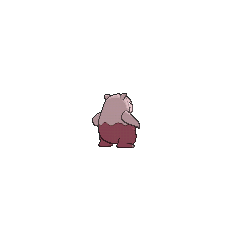 Drowzee (Japanese: スリープ Sleep) is a Psychic-type Pokémon introduced in Generation I.
Drowzee is a bipedal Pokémon that resembles a tapir. It has tired-looking eyes, a short trunk above its mouth, and triangular ears. 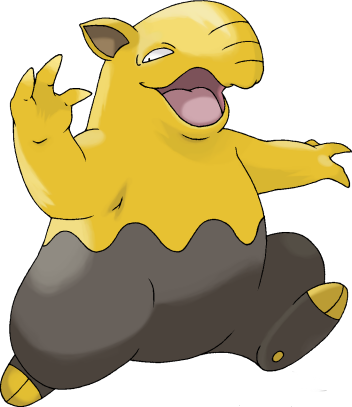 The upper half of Drowzee's body is yellow and the lower half is brown. A wavy line separates the two halves. It has a round belly and short legs. Its feet are brown, except for its two toes, which are the same yellow as the upper half of the body. The bottom of each foot has a small, round, pink pad in the middle of it. There are three fingers on each of its hands. Drowzee is able to put people to sleep, and can then sense the person's dreams. This is so it knows what kind of dream it would be eating. It eats dreams through the victim's nose, so it is said that Drowzee is standing over a person's pillow if their nose itches while they are asleep. Drowzee has certain preferences for the dreams it eats, and it is known to love fun dreams and become ill from bad dreams. It will rarely eat the dreams of adults, as the dreams of children are seemingly tastier. Drowzee remembers every dream it has eaten, and may show past meals to a person that often sleeps by it. Drowzee lives in grasslands and savannas. Drowzee first appeared alongside its evolved form in Hypno's Naptime. Both of the Hypnosis Pokémon were used to help the members of the Pokémon Lover's Club get sleep. Hypno was causing children to act like Pokémon and draining the energy from the Pokémon in the local Pokémon Center. Drowzee was used to fix the problem Hypno caused. Drowzee made another appearance in Pikachu Re-Volts. Butch and Cassidy used a Drowzee stolen from their fake Pokémon Breeding Center to brainwash Pokémon into turning against their Trainers and obeying Butch and Cassidy instead. Drowzee was living in an abandoned mining town with several other Psychic Pokémon in Fear Factor Phony. The Psychic Pokémon had parties in order to help them forget their sadness due to fact that the miners had left the town long ago. However, the constant partying was disturbing the Ghost Pokémon that lived in the abandoned mine. In Beating the Bustle and Hustle!, a Drowzee appeared under the ownership of Azure. A Drowzee appeared in Mewtwo Strikes Back. 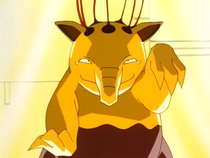 Drowzee also appeared in The Power of One. A Drowzee was one of the Pokémon seen at the Pokémon Swap Meet in Tricks of the Trade. 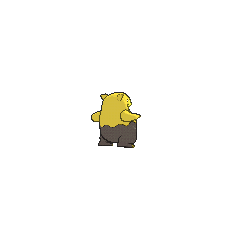 A Drowzee was one of the Pokémon living in Len Town in The Psychic Sidekicks!. A Drowzee appeared in Beauty and the Breeder where it participated in a Pokémon breeding competition. A Drowzee also appeared under the ownership of a scientist in Pokémon Ranger and the Kidnapped Riolu! Part One. Another one appeared in Old Rivals, New Tricks under the ownership of a Coordinator who was participating in the Sandalstraw Contest. In A Marathon Rivalry!, it was used by a Trainer in the Pokéathlon. EP027 Drowzee Ash's Pokédex Drowzee. Said to be a descendant of a dream-eating tapir. It was the first Pokémon to use a combination attack like Hypnosis and Dream Eater. In Pokémon Adventures, Sabrina has a Drowzee which was used to sneak up on Erika prior to the showdown in Saffron City. However, it was noticed by the Grass-type Gym Leader and was easily defeated by Erika's Vileplume's Petal Dance in Blame It On Eevee!. A Drowzee was seen in Gold's house in Murkrow Row. Multiple Drowzee were under the control of the Team Rocket Grunts in Piloswine Whine, in which they attacked Gold and Silver but were easily defeated. 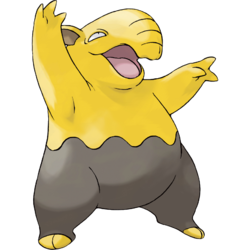 Later a Drowzee was one of the Pokémon sent to help at Ilex Forest during the fight in The Last Battle XIII. In Pokémon Stadium, the Drowzee mini-game (Snore War) involved putting other players to sleep, and in the end, all the Drowzee would end up asleep anyway. Ironically, in Generation III, Drowzee is given the Ability Insomnia, making it impossible for it to fall asleep. Sleep is literally sleep, but could also be named after Hypnos (Greek: Ὕπνος Sleep), the personification of sleep in Greek mythology.